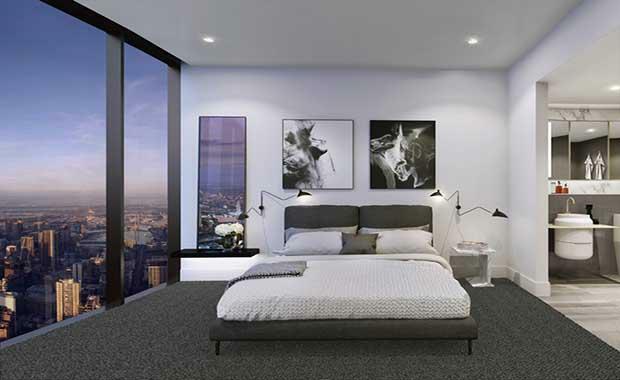 UEM Sunrise managed to sell out almost an entire residential apartment block in Melbourne’s central area. Three quarters of the apartments sold were sold to foreigners. The apartment block has 941 residential apartments and 210 serviced units in the 92-storey building and is the first local project for the developer. Previously the developer has sold 895 units, mostly in places such as south-east Asia and China. Director of UEM Sunrise’s Australian division Raymond Cheah, said that the sell-out of the building is an outstanding achievement, especially considering the launch was planned for January next year. “In UEM Sunrise’s 49 years of history in property development, the intensity and excitement of Aurora Melbourne Central is unmatched,” Mr Cheah said. According to Mr Cheah, the overseas investors were attracted to the reputation as being the most liveable city in the world and the relatively cheap prices in Melbourne. “As a benchmark in Australasia, Melbourne core CBD prices are on par with Kuala Lumpur, 50 per cent cheaper than Sydney, 200 per cent cheaper than ­Singapore, 350 per cent cheaper than Hong Kong, and a staggering 550 per cent cheaper than London,” Mr Cheah said. The $730 million development will be placed in the heart of Melbourne’s CBD on La Trobe Street, in close proximity to RMIT University and the State Library. The apartment block will also have access to the city rail loop and the central retail stores. Building is expected to start in 2015.